The vinification of the Pinot Blanc Grand Reserve 2015 took place in the last days of November 2017. 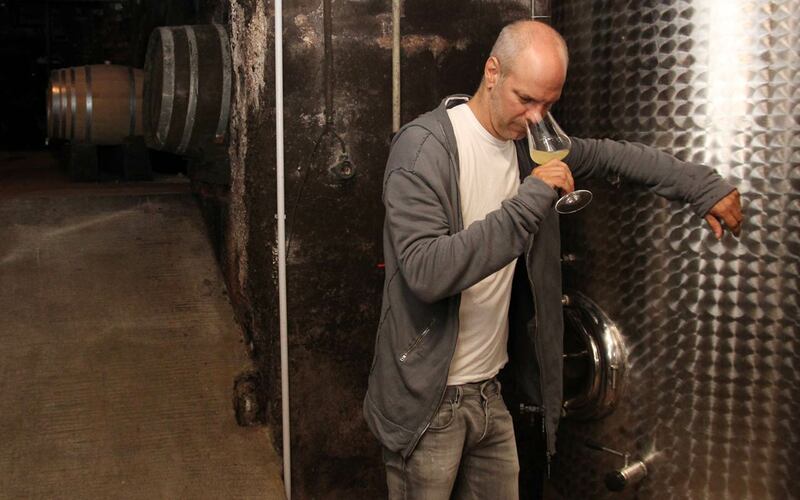 The wine has been active on the yeast for 24 months in the cellar that has a stable temperature of 16°. The limit of the alcoholic fermentation is reached now and the natural carbonic acid that was in the wine has disappeared. At this point, the wine may be filtrated and is ready to present its full potential. When bottled, the wine needs to rest for another 6 months until it will be ready for sale in spring 2018. Then, the latest edition of this wine will be part of our wine selection. This wine represents most of the sand-lime brick at Lake Neusiedl. It is one of the wines of Weingut Schandl that stands out and is valued by experts. The Pinot Blanc has been in the steel tank for almost two years. The yeast has settled almost completely. Only a little part is still active in the wine, which makes it seem cloudy. 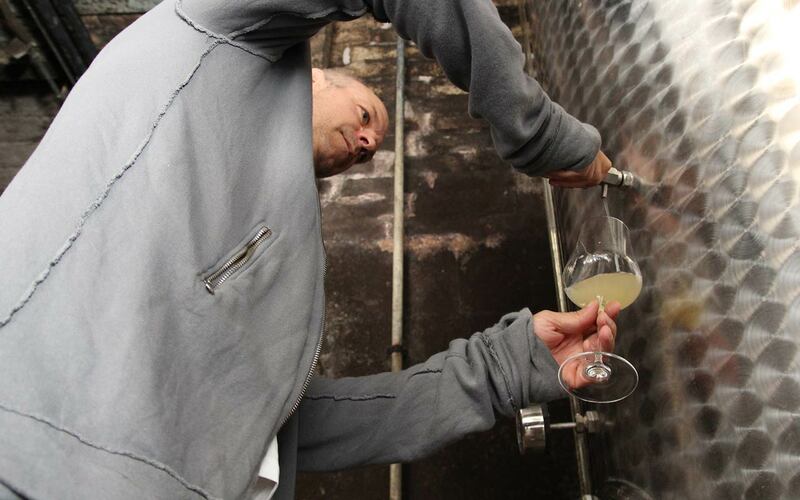 The taste of the yeast is superficial, but Paul Schandl already notes the special characteristics that will later turn this youthful wine into the completed Pinot Gris 2015. Our Pinot Gris is cultivated next to the vineyard Ritter, at the northernmost, highest and some say most beautiful place, the vineyard Umriss. We only produce the “Pinot Blanc Grand Reserve” three or four times per decade depending on weather conditions.